How to upgrade Node dependencies without ‘breaking absolutely everything’ in a safe, verifiable, ‘re-factory’ way. Mikeal Rogers spoke with two Netflix engineers about the containerization of their Node-powered service layer. An entry-level introduction to debugging Node apps using the debug module, the built-in Node debugger and Chrome’s developer tools. Learn how to develop a Todo API with Node.js, MongoDB, Mocha and Sinon.js, using the test-driven development approach. It takes place in Amsterdam on September 15-16. Keynoters include Ashley Williams, Mikeal Rogers, and Doug Wilson. Other speakers have also been announced. The CFP is open until August 16. Adonis is an MVC framework for Node. Codementor helps developers learn Node.js faster with on-demand live expert help. Are you a Node expert? Become a Codementor and get paid by helping your fellow developers. Using Node.js? 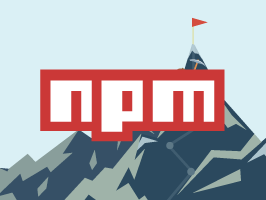 Get N|Support, Node.js developer support, with unlimited tickets for a limited time. Includes local and remote auth, account management, and more. Easily create event listeners and respond to events on IRC. You have to instruct a warrior to battle enemies, rescue captives, etc.